This post is sponsored by Babies On Vacation, however, all opinions expressed are 100% my own! 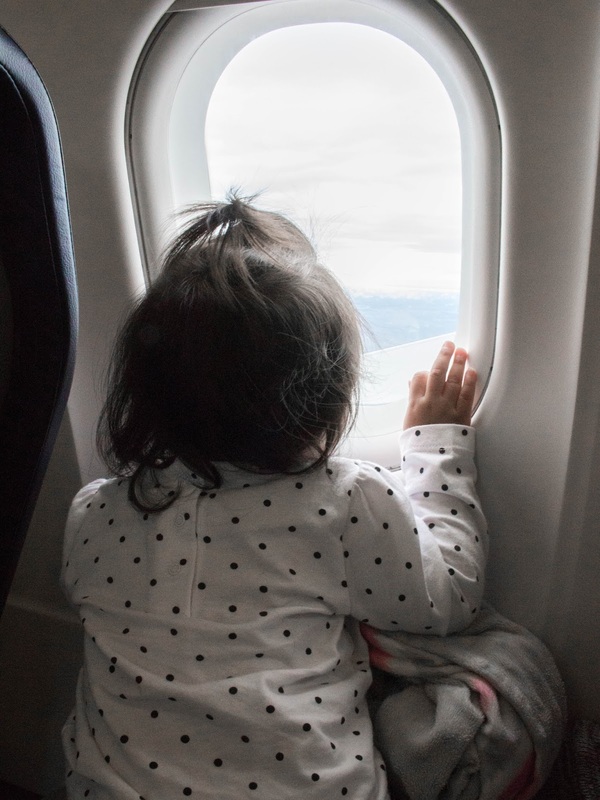 I was so nervous to fly with Camila for the first time, as I'm sure every mother is. We knew Jeff was going to San Diego for a little while we just hadn't decided if it was going to be a family trip or not, we decided 2 nights before! So I was under a lot of pressure to get things in order, Jeff doesn't do very well under pressure but for some reason, I thrive under it. 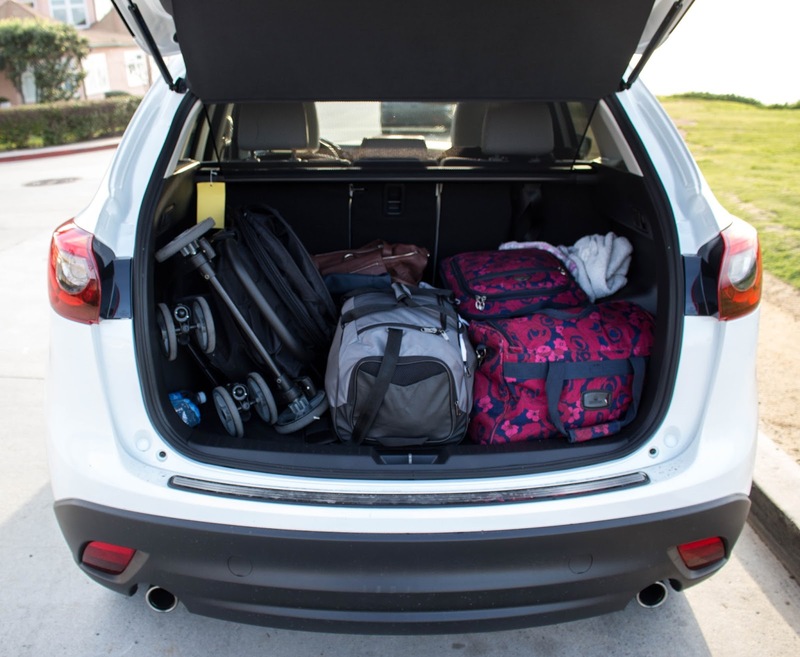 So I took it upon myself to organize it, my first task to tackle was whether or not to buy her a plane ticket for her car seat because Mazda graciously lent us a car for the week. Then the horror of dragging around luggage, a toddler, and a giant car seat set in. I racked my brain for solutions and thought hey it would be so cool if I could rent this stuff in San Diego. Google led me down a rabbit hole, but eventually to the amazing people behind Babies On Vacation. They met us after midnight at the airport with the Zoe Deluxe Lightweight Stroller and the Britax Convertable Carseat as soon as our flight landed. The exchange went so smoothly, and I was able to text them so we avoided all the confusion! Pick up went just as smoothly too even though it was 5 AM. 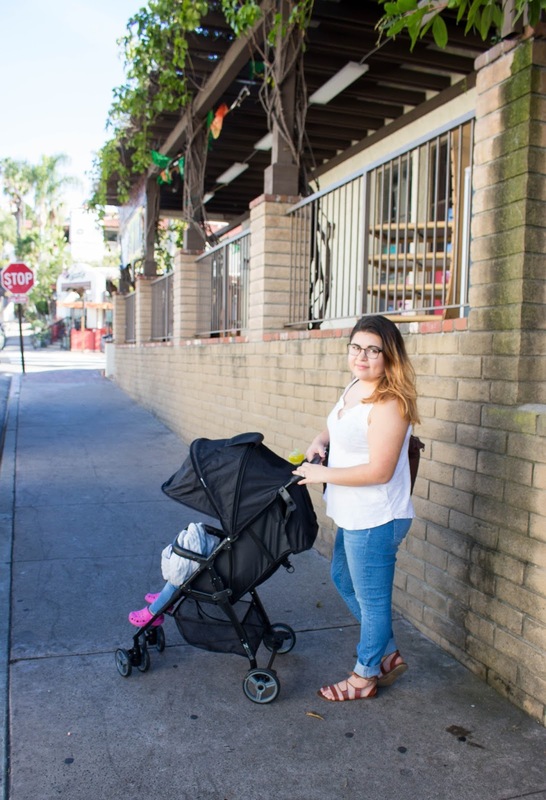 I chose the Zoe Deluxe Stroller because I needed something light weight and small because I wasn't sure how much trunk space we were going to get in our Mazda CX5 and something that I could handle alone without being too bulky and hard to use because I would be exploring San Diego by myself the majority of the time. I'm honestly so glad I made this decision, the long extending canopy protected my Mila bear from the sun & I kinda wanted to take it home with me! I actually think now it's time to upgrade our old jogger. For my Mamas that are staying for an extended period of time Babies On Vacation also rent high chairs, and cribs! For the mamas with twins, they have double strollers too. 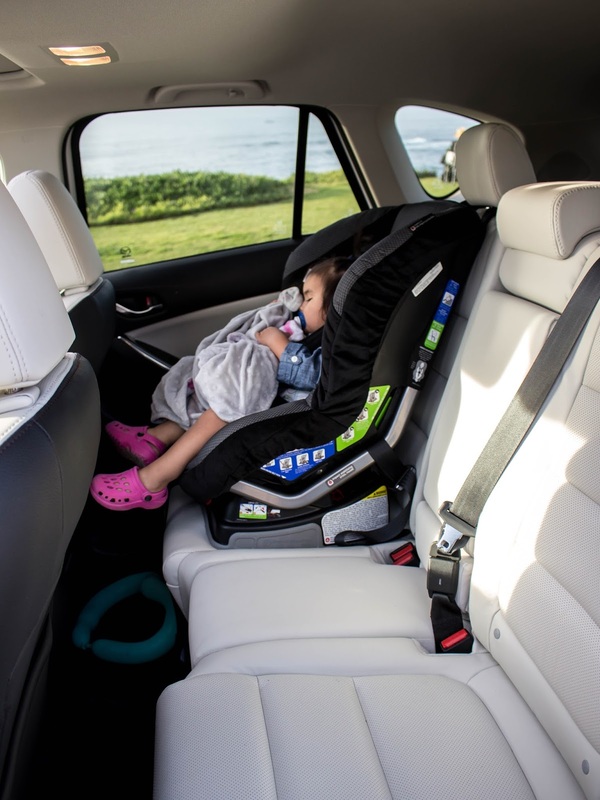 Have you ever considered renting a car seat or a stroller?